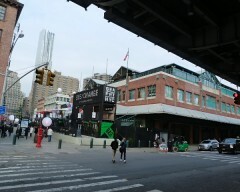 Word came yesterday that the renovation of Pier 17 and the South Street Seaport by the Howard Hughes Corporation is set to include a large food market in the style of Italian mecca Eataly. There aren’t many details of what exactly this market will contain, but it won’t be focused on the cuisine of just one country. And I think we can safely say whatever food options that come can be considered a win for that part of downtown. 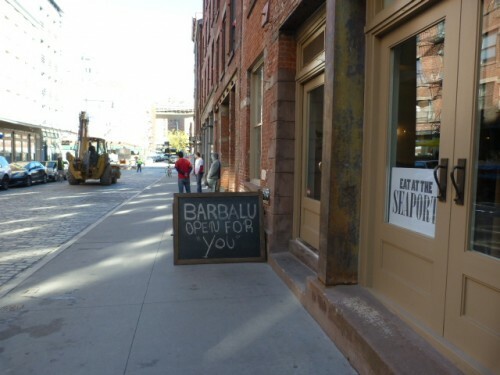 Posted by Andrea H at 10:00 am, December 3rd, 2013 under South Street Seaport. The South Street Seaport has never been particularly hip, unless you consider clipper ships the hot new thing. There were some reliable lunch spots there though that have been sorely missed since hurricane Sandy decimated the area. A few places that were on higher ground have reopened, but the area is still largely a work in progress. Posted by Andrea H at 11:00 am, June 17th, 2013 under Fonda, Mexican, Sandwiches, South Street Seaport. 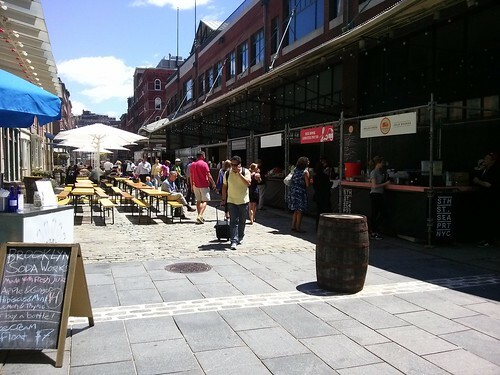 Some of you may be familiar with the New Amsterdam Market which brings together different vendors selling food and other items on Sundays underneath the overpass on South St. by the Seaport. You’ll be happy to hear that this Thursday some of the food vendors are doing a special lunch at the Pier 16 Marginal Wharf (that’s at South St. & Fulton) from 11 a.m. to 7 p.m. that involves some places we would normally have to take the subway to enjoy. If you’ve ever thought how awesome it would be to have lunch involving Porchetta, Lonestar Tacos, Black Tree Sandwich, People’s Pops, La Newyorkina or Luke’s Lobster in one convenient location now’s your chance. P&H Sodas and Pushcart Coffee will also be on hand for your beverage needs. 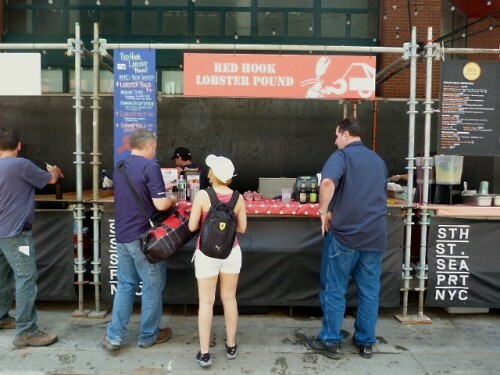 Posted by Andrea H at 9:30 am, August 21st, 2012 under Luke's Lobster, New Amsterdam Market, South Street Seaport. Last year shaved ice purveyor Wooly’s Ice went home a winner for best dessert at the Vendy Awards. The cart was in ML Downtown territory last year – first starting next to the 1 Centre St. kiosks and later moving up to Elizabeth St. This year they’re on the move again and starting today will be parked for the summer season at the South St. Seaport, right at Pier 17. Danny Che from Wooly’s gave us the low down on some changes to the cart’s ices and some other information. They were expecting to be up and running by the beginning of May but as often happens there were some unexpected setbacks which is probably fine because it hasn’t exactly been warm enough to crave icy treats. Straight ahead for what you can expect to help you deal with the heat this summer. 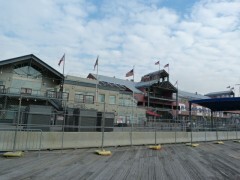 Posted by Andrea H at 10:00 am, May 4th, 2012 under Financial District, South Street Seaport, Sweets, Wooly's Ice. 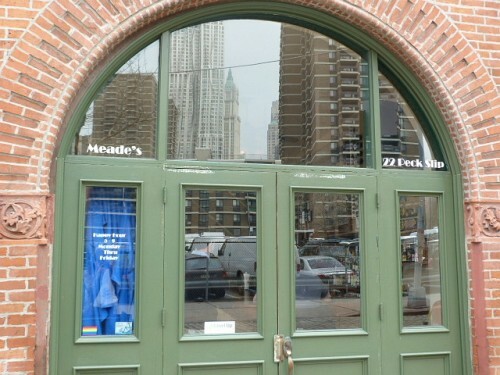 Posted by Andrea H at 10:00 am, March 26th, 2012 under American, Financial District, Meade's Bar, Pub Grub, Sandwiches, South Street Seaport.